This work is in good condition. 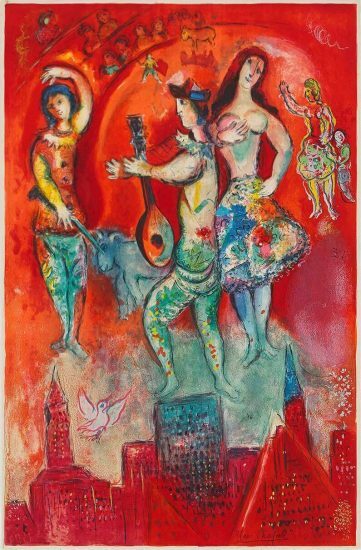 Nice captivated many artists, not the least of which Matisse and Chagall; the work these two artists created there continues to captivate viewers in return at their own museums in the southern French city. 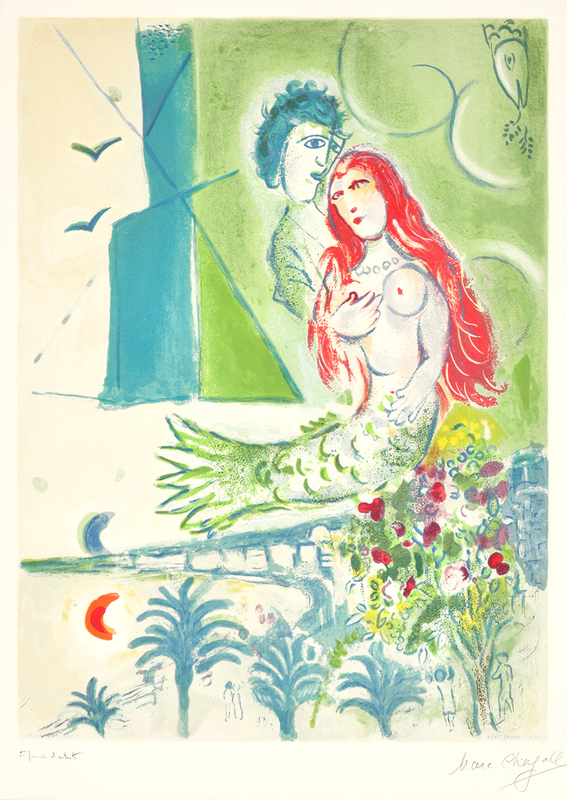 Marc Chagall Sirène au poète (Siren with Poet), 1967 from Nice & the Côte d'Azur is a quintessential work by Chagall. 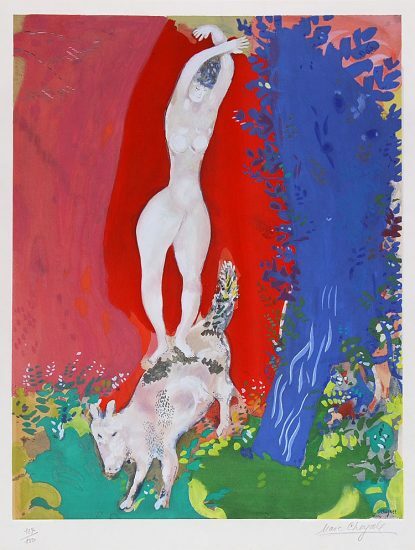 The composition centers around the suspended poet and siren, who hold each other so close that their forms merge into one. Royal blue palm trees and flowers bloom in the dusk beneath them, and the ocean reflects a crimson moon back at its counterpart in the sky. 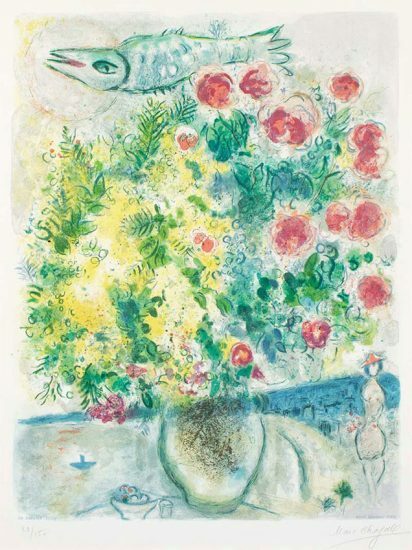 Combining figurative elements with a bisected, geometric green and blue sunset, this print nonetheless presents itself as a harmonious whole. 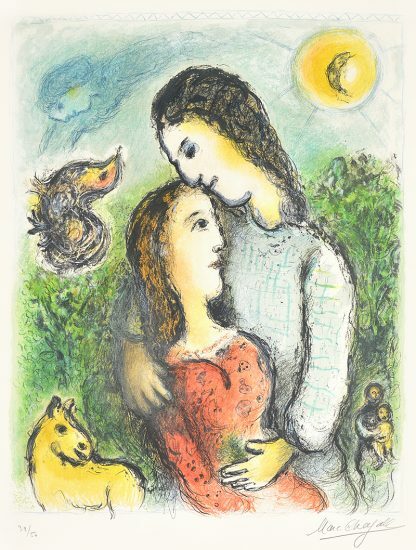 The twinned pairs of birds, lovers and moons multiply this sense of oneness, where each element finds its mirror. 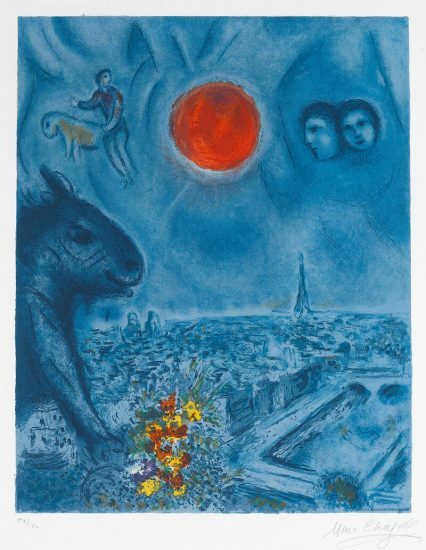 Created in 1967, this color lithograph is from Chagall's series Nice and the Côte d'Azur, comprising twelve color lithographs. 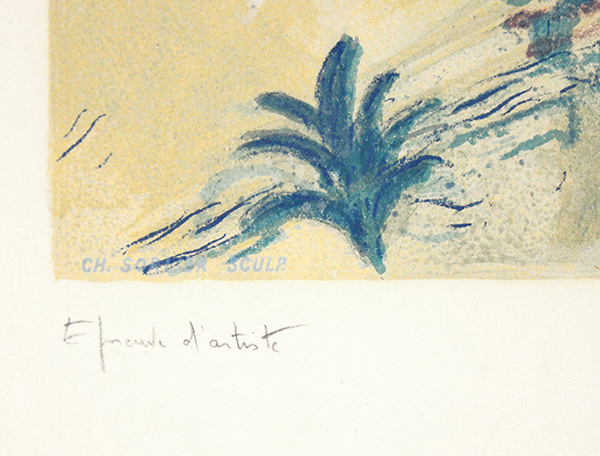 Annotated 'epreuve d'artiste' (artist's proof) in pencil in the lower left margin; aside from the limited edition of 150 and printed on Arches wove paper. 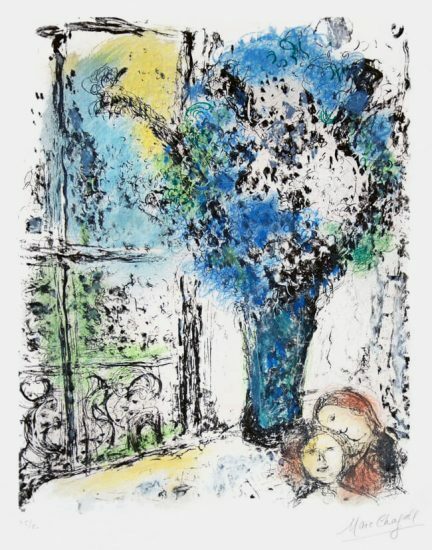 It is hand signed by Marc Chagall (Vitebsk, 1887 - Saint-Paul, 1985) in pencil in the lower right margin. 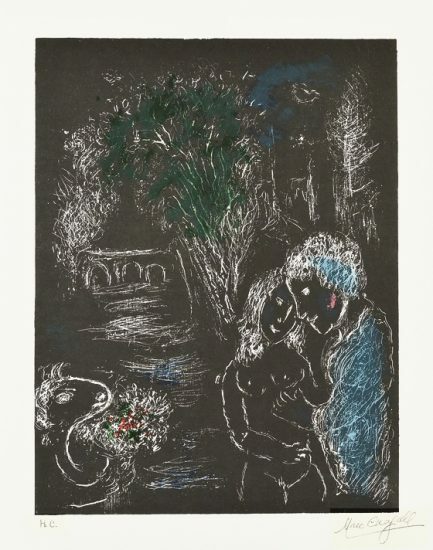 Marc Chagall Siren with Poet (Sirène au poète) from Nice and the Côte d'Azur, 1967 is fully documented and referenced in the below catalogue raisonnés and texts (copies will be enclosed as added documentation with the invoices that will accompany the final sale of the work). 1. Sorlier, Charles. 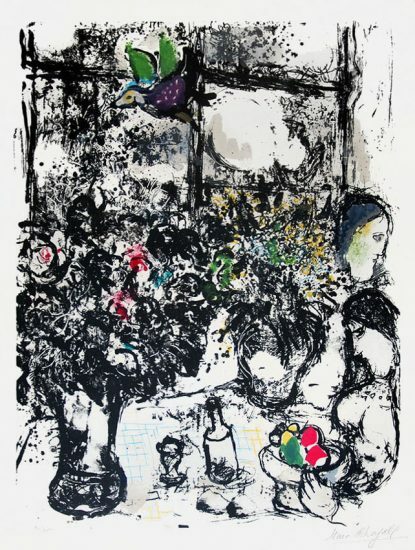 Chagall Lithographs, Volume V. New York: Crown Publishers, 1984. 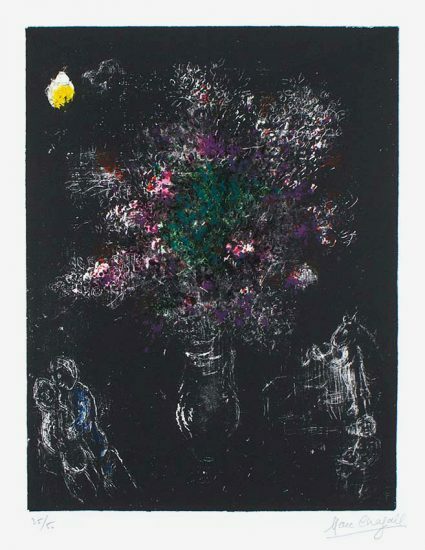 Listed and illustrated as catalogue raisonné no. CS 27. 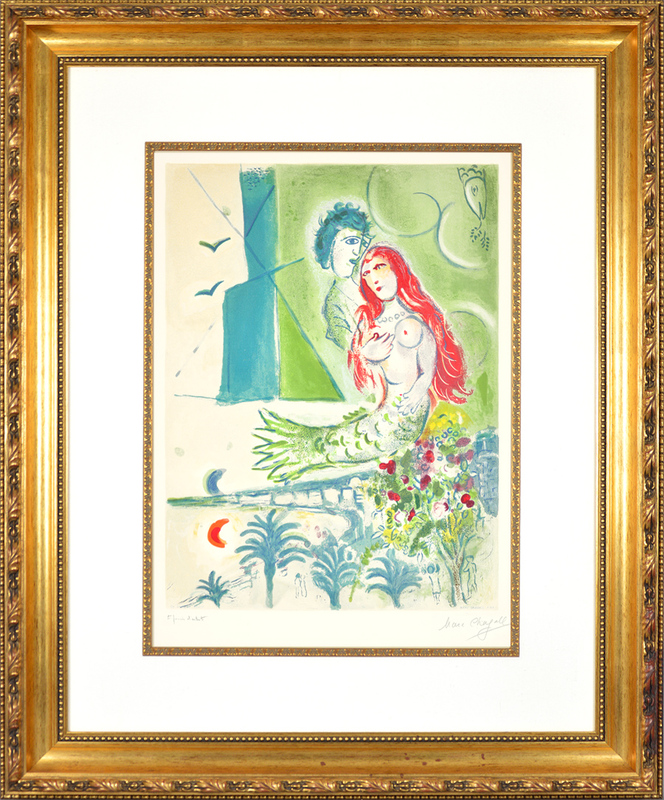 Marc Chagall Siren with Poet (Sirène au poète) from Nice and the Côte d'Azur, 1967 is framed to museum-grade, conservation standards, presented in a complementary moulding and finished with linen-wrapped mats and optical grade Plexiglas.